As travel planners and avid travellers, here at Totally Spain, we’ve come across our fair share of scary locations on our travels throughout Spain and Portugal since we started out back in the year 2000. We tend not to include them in our client itineraries for obvious reasons– but given that Halloween is fast approaching, we thought we’d share our recommendations here. For Spain’s older generation, this time of year marks ‘Todos Los Santos’ or All Saints Day on Nov 1st followed by All Souls Day on Nov 2nd. It’s a time to remember those who have passed on and nowhere is this more noticeable that at the florists and the cemeteries. 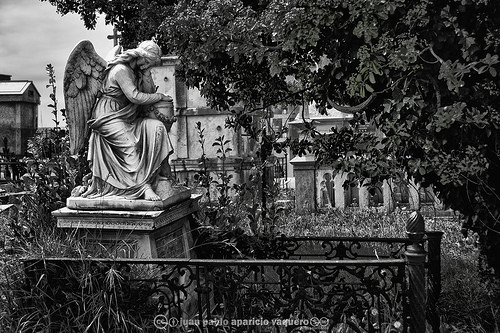 If you are in Spain for Halloween, it is well worth visiting one of the significant cemeteries which will be busy with loved ones carrying wreaths and bouquets to the graves. There are many great locations to choose from here in Spain and we are near one of them in Ciriego in Cantabria which often arranges walking tours of its many historic tombstones. We also recommend Montjuic, not just for its Cemetery but for its Collection of Hearses illustrating how funeral corteges looked in the past. If you were hoping to find something a bit more gruesome, perhaps the sites of the Spanish Inquisition will be your kind of thing. 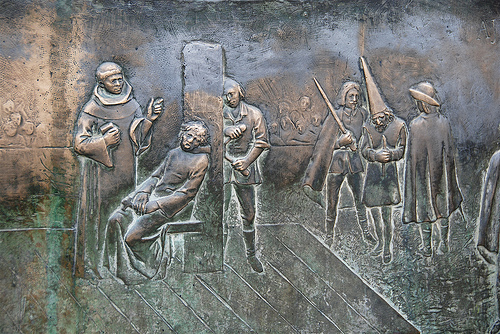 One of the ugliest chapters in Spain’s history, the Inquisition is often linked with the time of the Reconquista although it actually dates back to 1237. Anybody outside the Catholic faith (generally Muslims and Jews) who didn’t convert or were suspected of only a superficial conversion were subject to severe questioning and torture, trials and execution. The auto-da-fe was a religious act that usually took place in a public square after the trial. It was supposed to be an opportunity for the accused to repent although legend has associated these events with torture and burning. These ‘auto-de-fe’ ceremonies (for the want of a better word) took place in most Spanish cities until it was outlawed by the monarch in the 19th century. So if you scratch under the surface of any major city in Spain, you’ll find remnants of the Inquisition. You do need some help to find these locations and we can step in and put you in touch with the historians. In Madrid, for example we can programme an expert guide to take you to the jails, monasteries and other key sites including the Plaza Mayor where auto-da-fes took place. 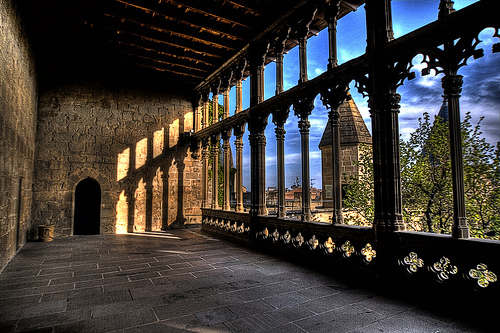 In Barcelona, we can also partner you up with a guide who can tell you about the character of Fray Alonso de Espina who took up residency in the Palau Reial Major in 1487 and wasted no time in purging lives. We can arrange a tour of the city’s neighbourhoods to learn more about this period and see where the auto-de-fes took place in the Placa Reial, the convent of Santa Caterina (now a market), in El Born and the cathedral. If you’re not familiar with the Roman Catholic’s veneration of relics, Halloween might be the perfect time to visit some churches. A relic is a part of the saint which could be anything from a hair or a bone to something touched or worn by the saint. Most churches in Spain have some relic on show. The most famous relics in Spain are associated with Teresa of Avila (1515-1582). Teresa’s body was exhumed on a number of occasions and (look away if you are squeamish) she was found to be incorrupt meaning the body hadn’t decomposed. Although it would be frowned on today, back then, when she was being re-interred, certain parts of her weren’t put back. For this reason, you’ll find quite a few of her body parts in churches and museums around the world. You may have heard about her hand which was seized by the Nationalist troops during the Spanish Civil War and kept by Franco’s bedside in the Pardo Palace outside Madrid. Rumours suggest he even died clutching it. If you want to try to see it, you need to make your way to Ronda’s Iglesia de la Merced (see above). If you are closer to Teresa’s home patch in Avila, you should visit the Convento de Santa Teresa to see a finger of hers. The Chapel of the Annunciation in Alba de Tormes is where most of her body is held. Her heart, which is decorated in a protective casing made from gold and silver and encrusted with precious stones, can be viewed in the Sepulchre of Santa Teresa. When it comes to gore, you don’t have to look much further than a bullfight on the TV in Spain. By the time Halloween comes along, most of the fixtures have finished for the year – although there are still festivals that bring man and bull together and end badly, usually for the bull. 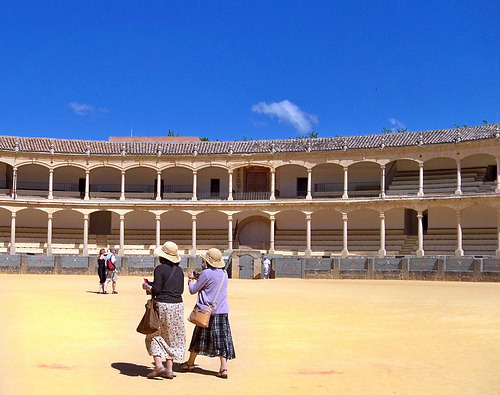 Whatever you think about bullfighting, we do recommend a visit to one of the bullrings. Many of these have museums where you can learn about this tradition and see images of the some of the key bullfighters and the bulls. One of the best examples is the museum at the Maestranza bullring in Seville that dates back to 1730. You may visit the bullring when bullfights aren’t in progress and see the museum and browse the significant art collection as well. With our very close connections to Ireland, we know a thing or two about Samhain which is celebrated on the last night before Winter. How surprised were we to find that Samhain or Samuin as it is often written is also celebrated in the regions with a Celtic influence such as Cantabria, Asturias and Galicia. Celebrating the change of season, the pagan harvest festival dominated Europe until the population turned to Christianity and some key dates including this one transitioned into the All Saints Eve that is Halloween today. If you are along the Northern coastline of Spain on October 31, keep an eye out for low key festivals that will include elements of both Halloween (as we know it today) and Samhain, marking the end of the old and the beginning of the new. You’ll find a lot of Halloween fancy dress and face painting but there will be subtle references to the original festival. 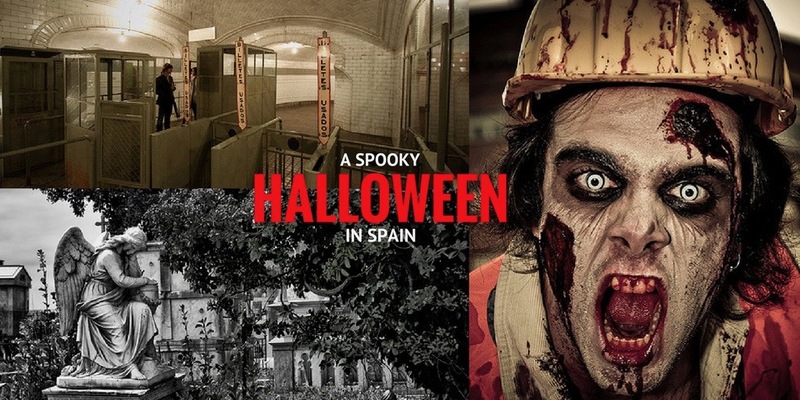 Anybody looking for a fun day out with a Halloween theme should consider dressing up and going along to one of Spain’s many adventure parks. We’ve been to the Warner Park outside Madrid at Halloween and enjoyed its the Halloween Experience complete with random zombies, Halloween-inspired dance routines such as Thriller, Halloween musical shows and even Halloween inspired meals. Many groups and families go all out and dress up which also adds to the atmosphere. The Halloween theming usually runs until the end of the first week of November at Warner Park. Port Aventura in Tarragona (Catalonia) also celebrates Halloween in style. Expect to see a master pumpkin carver, as well as Grover, Elmo and Cookie Monster dressed up in costume and lots of Halloween-inspired shows. The Halloween theme runs until mid-November so if you (or yours) feel you ‘missed out’ on some ghoulish fun on the actual night of Halloween, it might be a good catch-up plan. 10 Watch Out! The Zombies are Coming to Somewhere Near You! Zombie events and roleplay games of a spooky nature are huge in Spain all year round and there are a few taking place in the lead up to Halloween. Conducted in towns and villages throughout Spain, these ‘games’ generally take place after nightfall until dawn the next morning (if you don’t get caught by the baddies!). 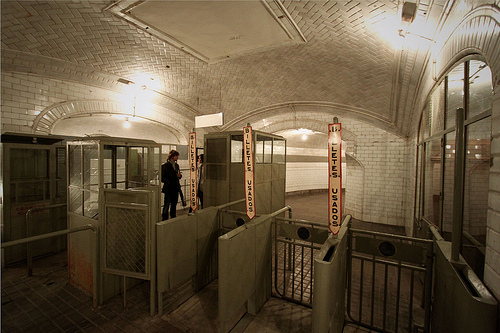 The location is generally taken into account when building the storyline for an event. For example in 2016, just before Halloween, the Medieval town of Cuellar (famous for its castle and city walls) hosted a ‘Medieval Zombie Black Plaque’ event. 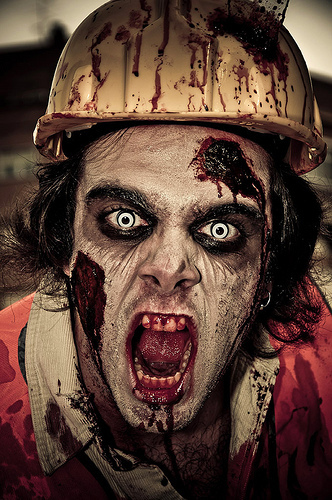 Search online for companies such as Survival Zombie that are hosting events where you are. It’s great fun – and even if you get ‘caught’ by the Zombies, you can get made up as a zombie (and the make-up artists are really great) and do some scaring yourself so it’s a win-win situation in our book! 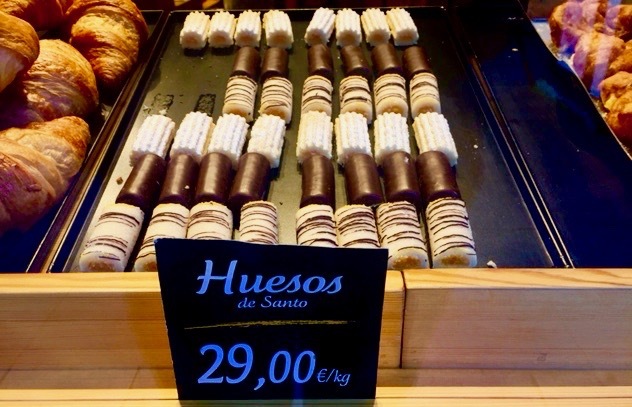 One of Halloween’s special treats in Spain – these marzipan flavoured treats are called ‘huesos de santo’ or Saint’s bones – and yes, we did eat those two that are missing in the photo! Of course, you’ll find all the usual big chocolate and confectionary brands here in Spain if you are making up a box of trick-and-treat snacks this Halloween. But in addition to the international candies, you should pick up some ‘huesos de Santo’ which translates as Saint’s Bones. This very sugary marzipan-based sweet is on sale in just about every bakery and pastry store at this time of year. We like them with a strong coffee after a meal but we’re sure they are equally good with a scary movie when all the trick-or-treating is done for the day! Posted in Active breaks, Entertainment, Festivals and tagged bullfighting, candy, ghost stations, graveyards, Halloween, haunted castles, haunted hotels, huesos de santo, poltergeists, Port Aventura, relics, Saint Teresa of Avila, Samuin, Spain, Spanish Inquisition, trick-or-treating, Warner Park, zombies.